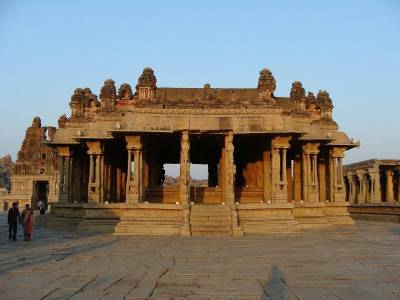 Hampi is a small ancient village in present day Karnataka bordering on the fringes of neighbouring state Andhra Pradesh. It is another addition to the list of UNESCO recognized World heritage sites from Karnataka, for its group of temple ruins here along with Badami. 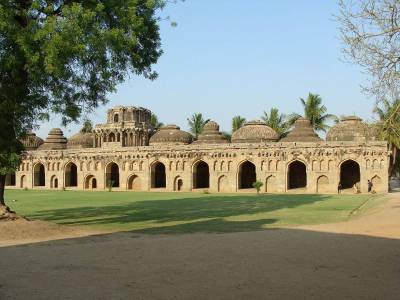 Hampi was the capital of the prosperous Vijaynagara Empire in the 14th century. 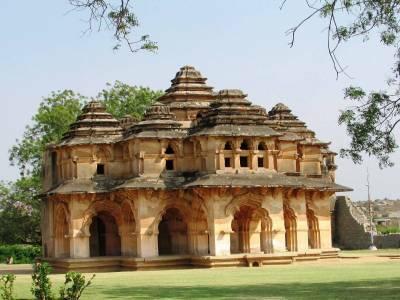 Documented records by contemporary foreign travellers reveal Hampi to be a major seat of trade and commerce along with an established system of livelihood with agricultural farms and balanced by spirituality with its vast sophisticated and elaborate temple complex. It was a grand and regal city by the banks of the Tungabhadra and attracted many foreign traders and travellers because of its prosperity. Chronicled information reveals that Hampi was probably India's richest city among its contemporaries and one of the most medieval era settlements second only to probably Beijing. Naturally, such prosperity, wealth and fame are unlikely to go unnoticed and it inevitably attracted a lot of invading foreign forces. Finally, Hampi succumbed to an attack by coalition forces of Muslim armies from the Delhi Sultanate which left it plundered, pillaged, looted and completely annihilated which rendered the city to complete ruins, as it stands today. Hampi is not only revered as a World Heritage Site for its temple complexes but there are still ruins suggesting a well planed complex city system that was in place during that time as well. These ruins are spread over more than four thousand hectares and include a grand and austere system of architectural wonders from forts, temples, riverside features, shrines, royal and sacred complexes, market complexes, pillared halls, community halls, water structures, memorial structures and many more structures that are reflective of the peak of glory and prosperity the city was once witness to. 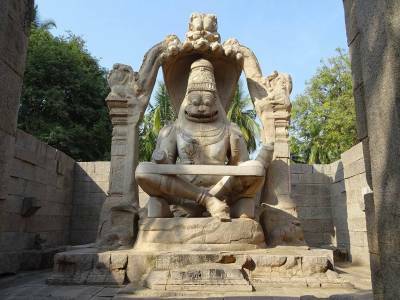 Hampi still retains many of the striking features that have been described to denote the city in renditions of Ramayana when the monkey army venture to rescue Sita Devi. 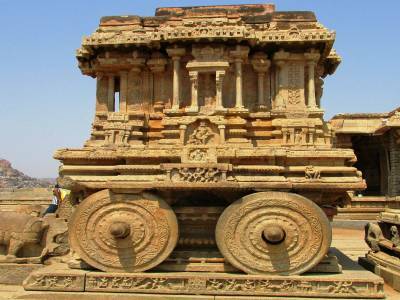 Get quick answers from travelers who visit to Hampi Group of Monuments.